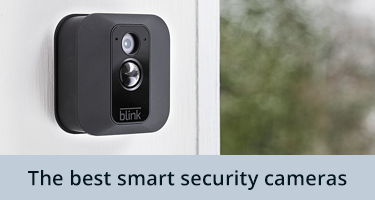 The best smart doorbell cameras are replacing the conventional doorbell with a smart alternative which allows you to see who’s calling without ever needing to be at the door. 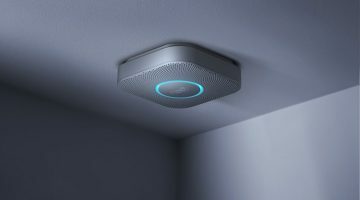 Whether you’re upstairs or at work, the best smart video doorbell systems mean you can remotely view (via a companion app on a smartphone) whoever is at the front door as well as many systems also allowing you to communicate directly with the caller via a two-way microphone and speaker interface on the device itself. 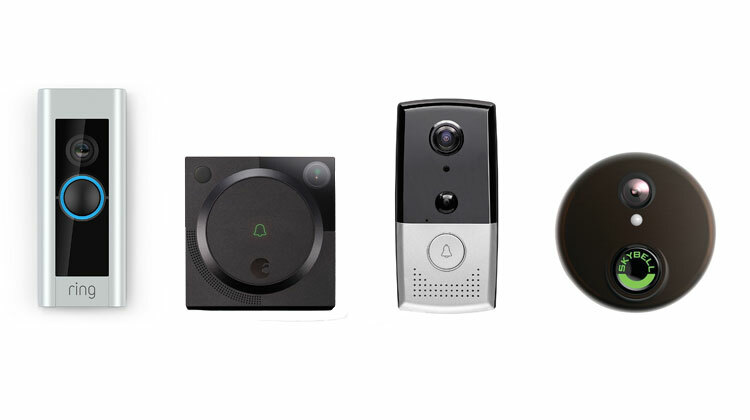 There are a few major names in the world of connected smart doorbell camera devices as well as many lesser known, but equally reputable options which you’ll find deliver equally excellent results if you’re looking to secure one of the best video doorbell systems for your entryway. 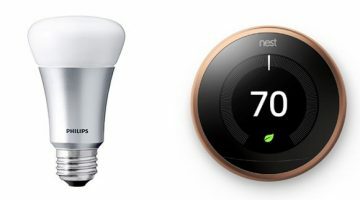 We’ve taken a look at the best smart doorbell models across a range of brands as well as price brackets to help you find the best solution for your home. 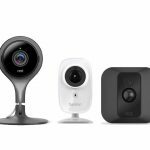 Whether you’re looking for a standalone video doorbell that will simply allow you to know who’s there, or want a more comprehensive smart doorbell setup that can integrate with other elements of a smart home security setup or a smart door lock system, we’ve covered the very best smart doorbell camera devices for every eventuality. 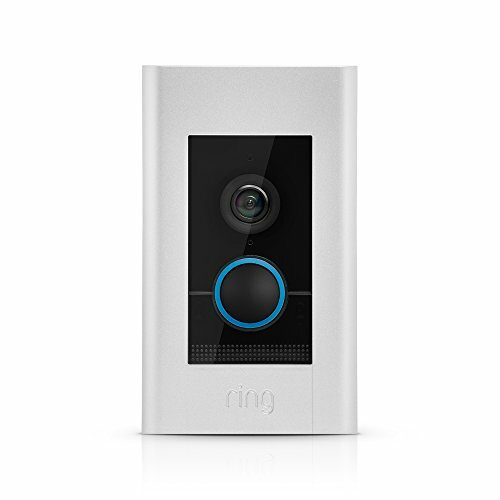 The Ring 2 utilizes a rechargeable lithium-ion battery making ii a great choice if you’re looking for one of the best smart doorbells that runs on batteries rather than a wired setup. 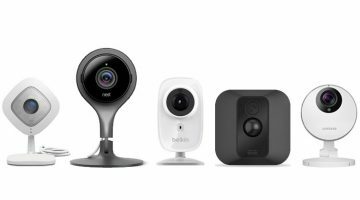 Among the top of the Ring 2’s feature list is a full HD 1080p camera which provides a 160-degree field of view while a two-way audio offering means you’re going to be able to communicate with whoever comes knocking. A subscription service is available with the Ring 2 if you want to watch back any recorded footage captured by the camera. 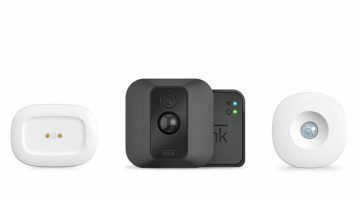 It’s worth noting that while the functionality and feature set of the Ring 2 Video Doorbell are excellent, the requirement for holding a battery makes it somewhat larger than other smart doorbell camera systems on the market so keep this in mind. 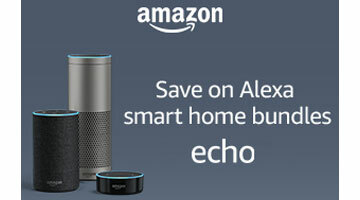 In order to have the doorbell sound elsewhere in your home, the addition of a Ring Chime device will allow you to hear the doorbell in the conventional way even if you’re far from the door or your phone (the unit itself will output sound as will a connected smartphone). 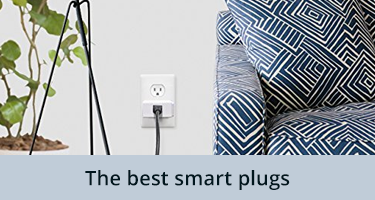 The good thing about the Chime is that it plugs directly into a mains socket and also works as a WiFi extender meaning you can place it a significant distance from the main unit. 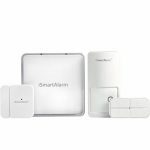 The August Doorbell Camera is a great smart doorbell camera unit as a standalone device but is one of the best smart doorbell systems if you’re looking for a solution that’s ready to pair with a smart lock system. When combined with the August Smart Lock, you’re basically going to be able to see who’s at the door and let them in remotely using your phone, whether you’re upstairs, at work, or even in another country. 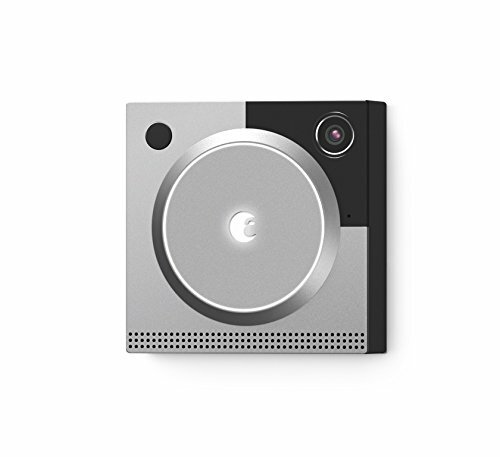 Featuring 1080p recording functionality, the August Doorbell Camera also includes an in-built light (for use at night and low-light scenarios) as well as a two-way audio feature for communicating with callers via the app on a connected smartphone. 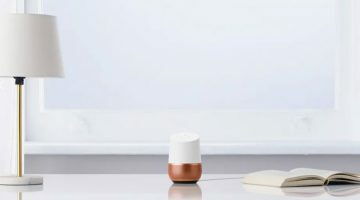 In terms of power, the August Doorbell Camera relies on a wired connection as the primary means of operation with a lithium-ion battery which is held in reserve as a fallback power source. 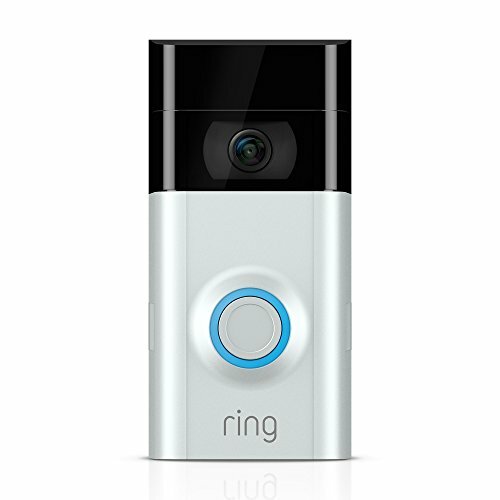 The Ring Video Doorbell Elite includes a number of useful features that you’d expect from a high-end smart doorbell system and allows you to answer the door from a connected tablet, phone, or pc. Offering the ability to create and customize motion zones, the Ring Video Doorbell Elite allows you to focus the detection area of the device onto a specific area of your porch. Whenever someone enters this zone or presses the doorbell button, you’ll receive an alert. When a visitor calls, you can then see as well as verbally communicate with them via the system’s in-built speaker and mic. The inclusion of night vision sensors as well as a weather-resistant design means that the Ring Video Doorbell Elite is resilient, durable, and versatile, working in all conditions and whatever the time of day. 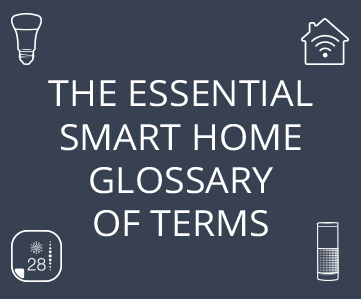 Making the switch from a conventional doorbell to a smart video doorbell is a considerable investment and Ring recognize this with a guarantee to replace your Elite if it gets stolen once installed. 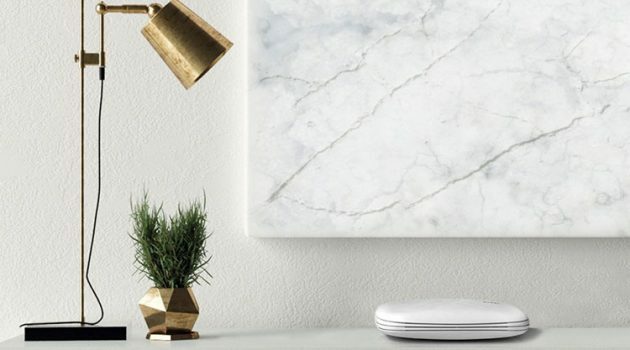 The Zmodo Smart Greet Wi-Fi Video Doorbell is one of the best smart doorbell systems if you’re looking for a budget-friendly, feature-rich solution. 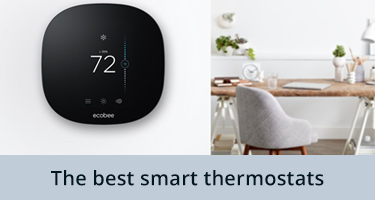 Providing the ability to answer the door from a paired smartphone wherever you are, the Smart Greet allows you to see, speak to, and hear visitors wherever you are. Visuals are provided via a HD wide-angle lens which provides a clear picture of everything within the device’s field of view. An alert and recorded video clip are also sent directly to your connected smartphone if the system detects motion in the frame. While not utilizing batteries for a wireless system, the Zmodo video doorbell does boast easy setup which utilizes existing wiring from your previous doorbell for quick installation. The ability to save any recorded motion alert clips is limited to 36 hours of free cloud storage with the ability to opt for the 24/7 cloud recording paid subscription service (a 30-day free trial is also included) which allows you to review, save, and share any recorded footage. 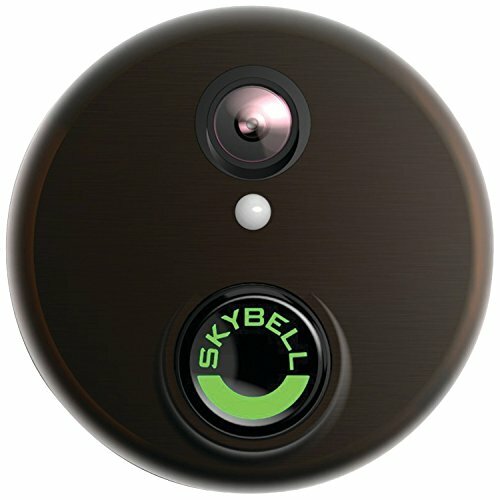 The most impressive feature of the SkyBell is undoubtedly the ability to store and play back recorded video footage for up to seven days without the need for a paid subscription. 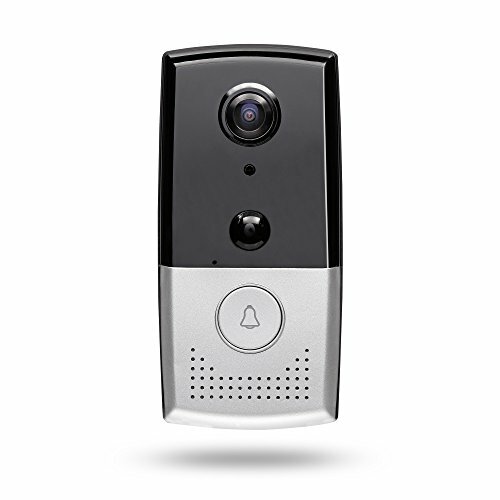 This is often a premium feature on many of the best video doorbell systems so the fact that the SkyBell builds this in from the start is a great addition to a strong device. 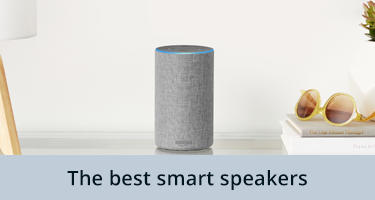 A 1080p video quality with the ability for up to 5x zoom is the basis of the SkyBell HD’s visual offering while a two-way audio connection via an in-built mic and speaker means you can communicate with whoever’s at the door. 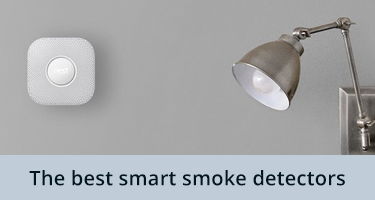 One of the useful features of the SkyBell HD is the ability of the device to automatically let you know if someone has been in the range of the device’s visual sensor for 10 seconds. 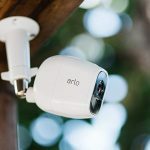 On top of alerting you to this, the camera will also begin filming (and will store the clip in the cloud) which means you’re going to have a porch-side security camera which will keep watch over any packages delivered while you’re not home.